﻿ What is Cristiano Ronaldo waiting for to renew his contract with Real Madrid? 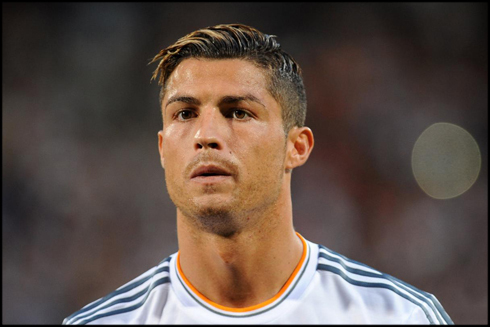 26.07.2013 » What is Ronaldo waiting for to renew his contract with Real Madrid? The clock is ticking and Florentino Pérez is yet to successfully extend Cristiano Ronaldo's bond with Real Madrid. 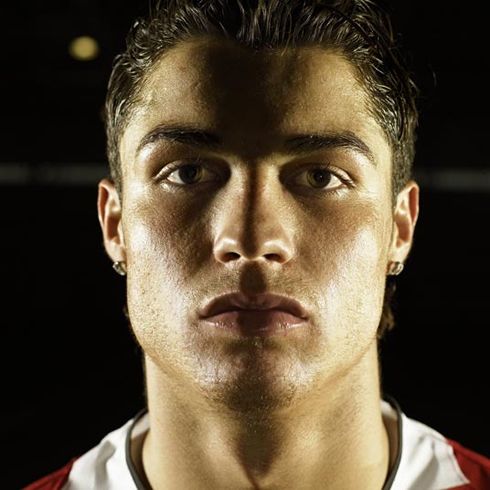 The Portuguese star signed a 6-year contract back in June 2009, which means there are only 2 years left on his written agreement. If Ronaldo doesn't renew his contract right this summer, the Merengues will surely start losing negotiation power as time passes and they will be in a delicate position to still cash in any amount close to what they paid Manchester United for CR7, back in 2009 (96 million euros). 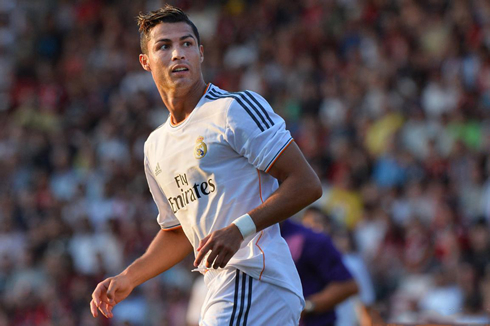 So what's holding on Cristiano Ronaldo from renewing his link with Real Madrid? Can we still expect for anything to happen in the upcoming weeks and before the summer transfer season is over, on August 31? When José Mourinho left Real Madrid to head back to Chelsea FC last June, many people assumed that it had been the first step for Cristiano Ronaldo to also think about leaving Spain once and for all. The 28-year old has been often quoted saying that he isn't sure about his future, but that he also intends to honor his contract with the club. Can this actually mean that Ronaldo's masterplan is to actually play in Real Madrid until his contract runs out in 2015 and then leave to whatever club he wants, as a free agent? In Madrid, everyone appears to be expecting for Cristiano Ronaldo to keep wearing the Merengues shirt, at least for the upcoming season. Earlier this week, the new Real Madrid manager Carlo Ancelotti, affirmed without blinking that Ronaldo is clearly the best player in their squad and that his future lies in the Spanish club. The experienced Italian coach also lauded Cristiano Ronaldo's professionalism and work ethics, pointing it as something extremely important when it comes to set an example for youngsters and newcomers at the club. Following Ancelotti praising, came right away Real Madrid's president Florentino Pérez with some kind words. The Spanish businessman is convinced that Cristiano Ronaldo will stick a long time in Madrid and eventually retire as a Merengue player. Florentino Pérez: "Cristiano Ronaldo is the best player in the World and the whole Real Madrid project is built around him", stated the 66-year old civil engineer. Another voice who joined this recent belief concerning Cristiano Ronaldo's high likelihood of staying in Real Madrid, was José Mourinho. The current Chelsea boss worked with Cristiano Ronaldo in Madrid for 3 straight seasons and even though he's now far away in England, he was asked to share his thoughts on what may happen with Cristiano Ronaldo's career in the short term. José Mourinho: "I'm perfectly aware that Cristiano Ronaldo loves both Manchester United and the English Premier League. However, I can't see him leaving Real Madrid just yet... But please have in mind that this is based just on a hunch, as I've had no particular feedback whatsoever regarding this topic. What I can say for sure is that Real Madrid is a very rich club and they don't need to sell players to have liquidity. The way I see it, they can cover and outbid any offer that other clubs may land onto Cristiano Ronaldo's hands...", said the Portuguese manager. But regardless of how many people are backing up the theory that Ronaldo isn't going anywhere, the truth is that the time for Real Madrid to seal the deal is running out. We're roughly 18-months away (December 2014) from Cristiano Ronaldo to legally become allowed to negotiate with any other club and eventually sign for them 6 months later, without any transfer amount being paid to Real Madrid. If Mourinho's words are to be taken seriously, then the Merengues would have already put on the table a convincing offer to Ronaldo in order to make him the world's best paid footballer. In the other hand, Ronaldo might have his mind turned to a different plan, where money is already far from being the main factor on his decision. Cristiano Ronaldo next game for Real Madrid will be against Paris-Saint Germain, this next Saturday (July 27, 2013), on another friendly match agended for this pre-season. In the meantime, you can watch PSG vs Real Madrid, Valerenga vs Barcelona, Manchester City vs Sunderland and Bayern Munich vs Borussia Dortmund, all matches provided from our soccer live streaming section.